Maia, I am so sorry that you found another tick. There must be some type of process to rid it from your house. You cannot afford to get another bite. I am happy however that you are feeling better and I hope it continues. On another note I am thrilled Macro Flowers Saturday is back. I have missed it and you so much. I'll get working on a post. Your shots here are gorgeous. I am glad you are back. 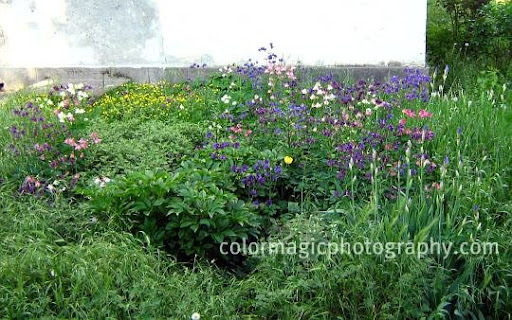 Your Aquilegia are lovely. Ps. The smal tick also loves me with intense, I have had borrelia 2 times. Maia, is there a way we can protect ourselves from these ticks? They look as fragile as they are - great ambiance! I'm glad Macro Flowers is back again, miss it so much! I hope you'll feel much better soon and on the road to recovery. thanks for bringing this meme back Maia! all the best to you and MFS! take care! i've always loved your macro flower shots, awesome! 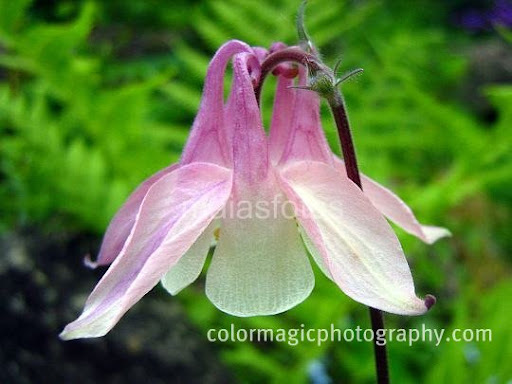 The columbine is gorgeous, I love your first macro shot. I'm sorry to hear you got another tick bite. As I remember ticks don't live very long so maybe the escaped one is already dead. Glad to have you back! The new name added freshness to your meme. Those are lovely blooms. Thanks! Thank you for letting us know what's been going on. This is tough but I am sure you will recover fully, it just takes time. You are right that focusing on positive things will help you heal. Pretty flowers are just the thing! My columbines are just in bud. I'm looking forward to their blooms. Glad to be joining the meme! My Mom introduced me to Columbines last summer. I love them. Thank you all, old and new friends, for your lovely comments, encouraging and good wishes. I just woke up, reading these words is a wonderful way to begin the day. Lui, no there is no protection against ticks, not that I'm aware. I found you true, the road to here and i love your blog! great pics and yes i'm intrested in your story! If you have time i would love for you to come over and and look at my blog. 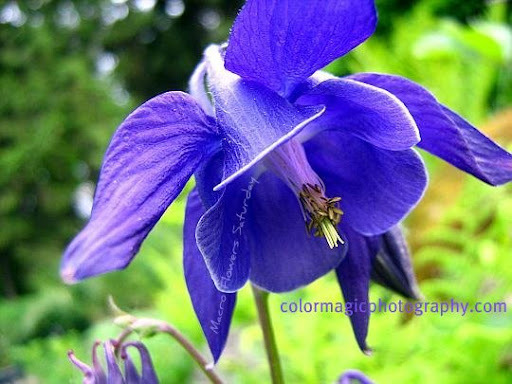 You found some very beautiful columbines! Lovely flower! Dear Maia, so glad you are feeling better...welcome back. Missed you. Your wildflower shots are very pretty. I'd love to see those flowers around here in the San Fran Bay Area...it's mostly just poppies right now! I hope you feel better soon. It's horrible how one little tick can change someone's life and bring on such bad medical problems. You sound like you are staying positive though! All the best. Some beautiful photos with excellent detail of the beauty of flowers. Oi Maia!Que bom que voc~e está melhor! Continue a se cuidar direitinho, e tudo voltará ao normal. Suas fotos são lindas!